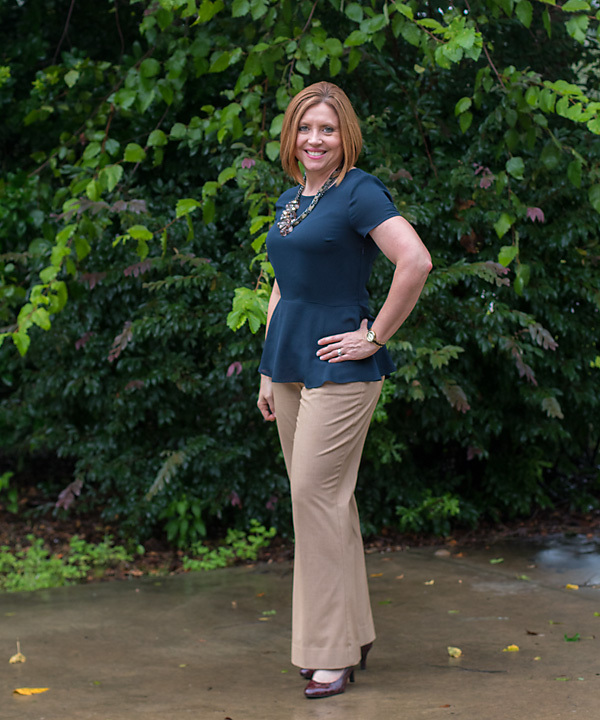 This peplum top has only made one other appearance on the blog. While I consider this a classic piece, I just haven’t worn it. I guess I should. I got lots of compliments on it at work. 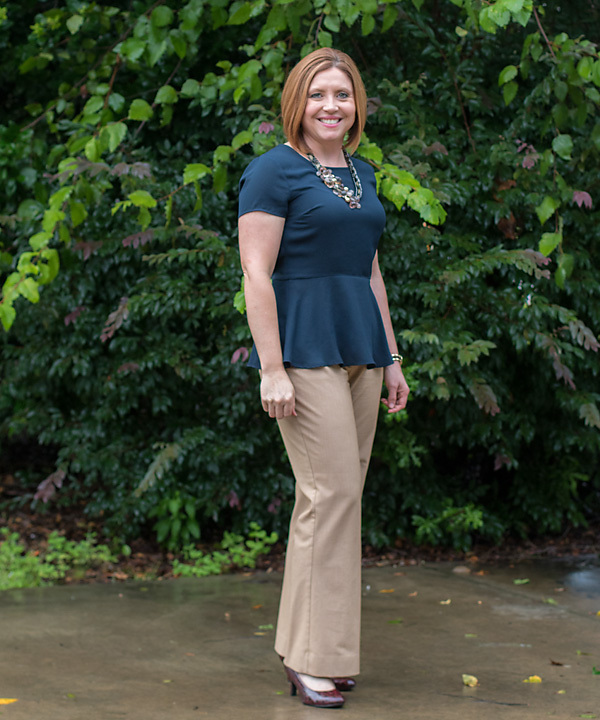 I was inspired by a pin on pinterest showing a navy top and camel pants to put this outfit together. 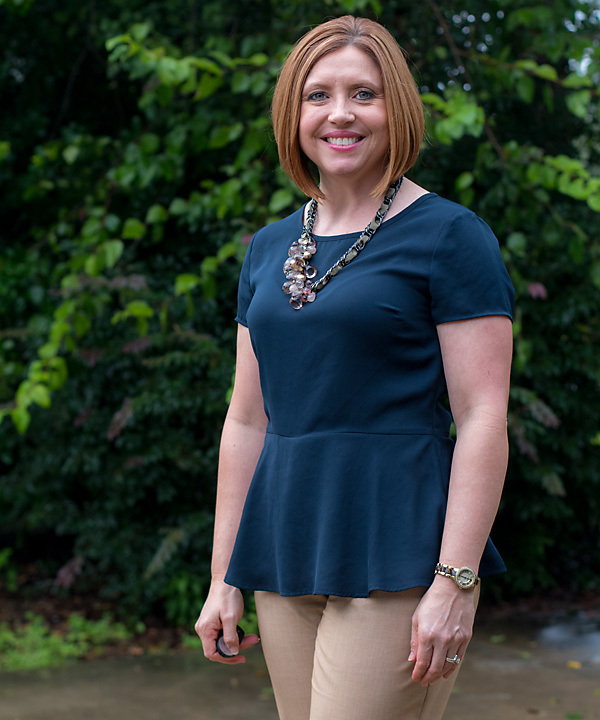 To keep it from being too plain I chose burgundy red pumps and this olive and gun metal statement necklace with brown and peach beads to play off the camel color. I wanted to keep it a little conservative because I had court, but if you really want to make this more colorful and make this outfit pop, I recommend bright red shoes and a colorful statement necklace.